I went to Aaswad in Dadar yesterday with Uncle J and my mom in law. 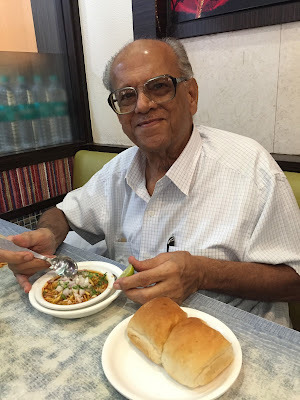 Two Parsis from Mumbai who had never eaten missal pav before. Hopefully they are not the only Mumbaikars to have not tried this popular Maharashtrian dish before! 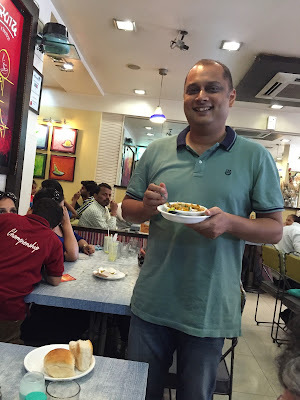 J wanted to try it out ever since he had heard that the missal pav that I had nominated here won the Foodie Hub global award for the best vegetarian dish in the world. So we met up and went to Aaswad for an early lunch. It was pretty crazy in there. I saw that almost everyone was eating missal. Some with pav. Some with puris. Some by itself. A far cry from my earlier visits to Aaswad where I’d often be the only one eating missal while there would sandwiches and dosas on the other tables. The waiter asked me what we would like to order and ‘missal’ we cried in unison. J seemed to like his first taste of missal and even packed some to take back for his sister. He was quite happy to know about the Aaswad win and handed over token gifts of appreciation to some of the kitchen and wait staff at Aaswad. It was great to see this basic Maharashtrian breakfast dish, where crunchy farsan is added to a moth bean and sprouts curry, get its well deserves spot in the sun. Add a squeeze of lime to this and you have one of my favourite Maharashtrian dishes. A dish which has now got a global stamp of approval. It was pretty crazy when we stepped out of Aaswad around 2 pm. The crowd outside almost made you feel that you were at a rock concert with tons of people waiting to get in. They used to have queues at Aaswad before the missal pav win but not to this extent said owner Suryakant Sarjoshi and apparently everyone wanted missal! A friend who had joined us for lunch said that the crowd seemed to have become younger than what it was before. I met Suryakant’s wife, Smeeta, who told me about how every year they experiment with a new dish at home before introducing it in Aaswad on its birthday in January every year. The Sathvik thali is one of the latest introductions. Suryakant told me that this Maharashtrian vegetarian eatery, which has father had opened in 1986 (“Hand of God year!” I exclaimed), might be expanding beyond the Dadar outlet soon. 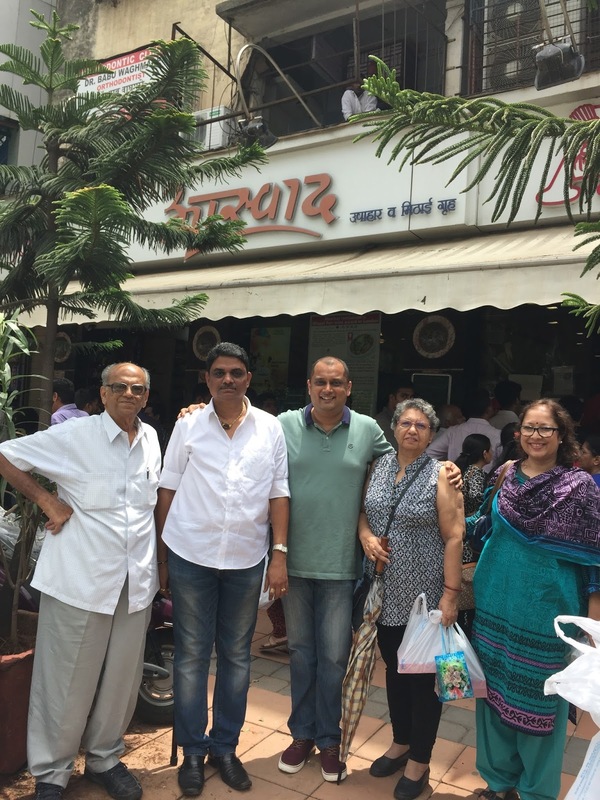 It’s good to hear about Maharashtrian eateries going beyond the core Maharashtrian dominated areas of Dadar, Girgaom and Bandra E in Mumbai. 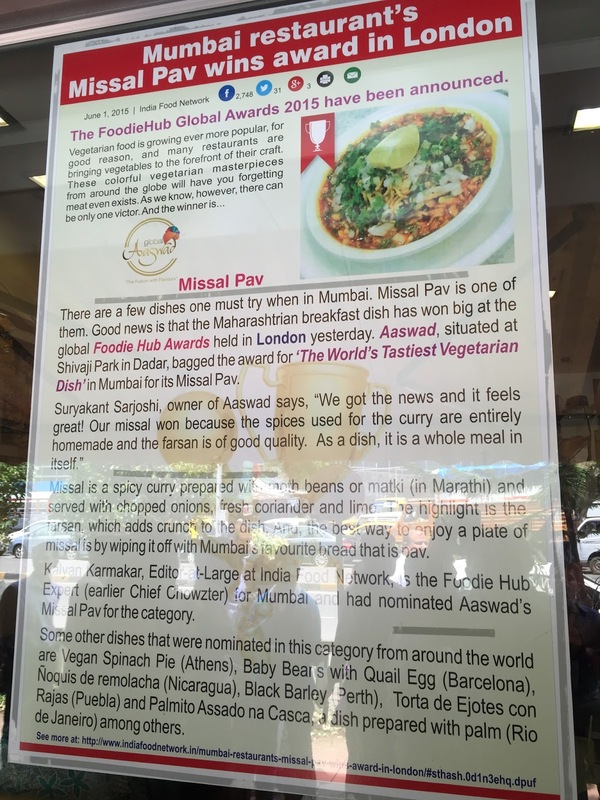 And it felt great to see this renewed interest in the missal… a dish that had welcomed me to Mumbai. 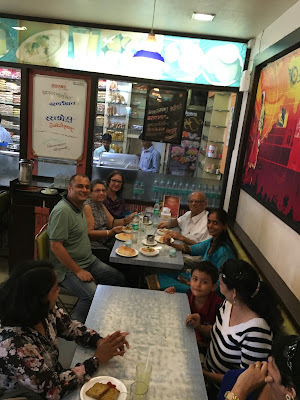 Some of my other favourite missals are at Prakash in Dadar (where they don't serve it with pao since that's the way it is had at home) and Gokhale in Thane. 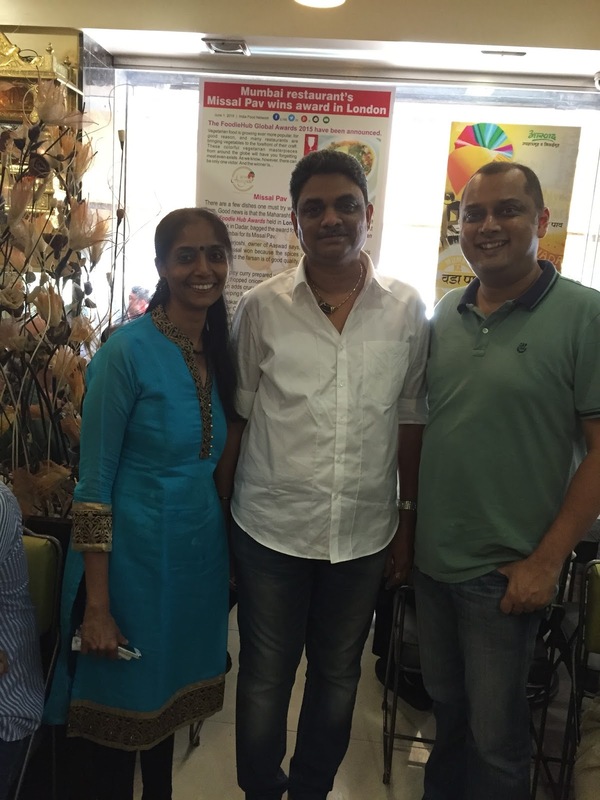 Vinay Health Home is pretty popular too and the missal here is on the slightly sweeter side. I am told that Pune and Kolhapur has some great missals too. The Foodie Hub nominations were Mumbai centric though.